Like many other people in the Western world, I’m absolutely fascinated by North Korea, the aggressive “hermit kingdom,” with its showpiece capital, goose-stepping soldiers, nuclear tests, and series of eccentric, wacktastic father-son dictators. 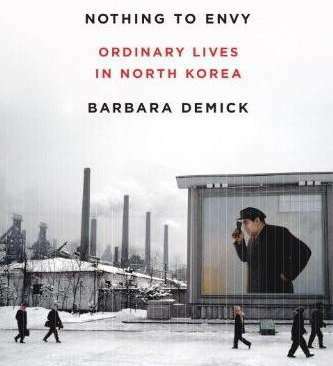 I’ve seen pictures of Pyongyang, including the excellent series taken by my friend Sam Gellman, and I follow the news about Kim Jong-un’s latest nuclear machinations, but it wasn’t until I read Nothing to Envy, Barbara Demick’s excellent and deeply disturbing portrait of life in North Korea, that I really began to grasp the horrendous misfortune of being born in that country. 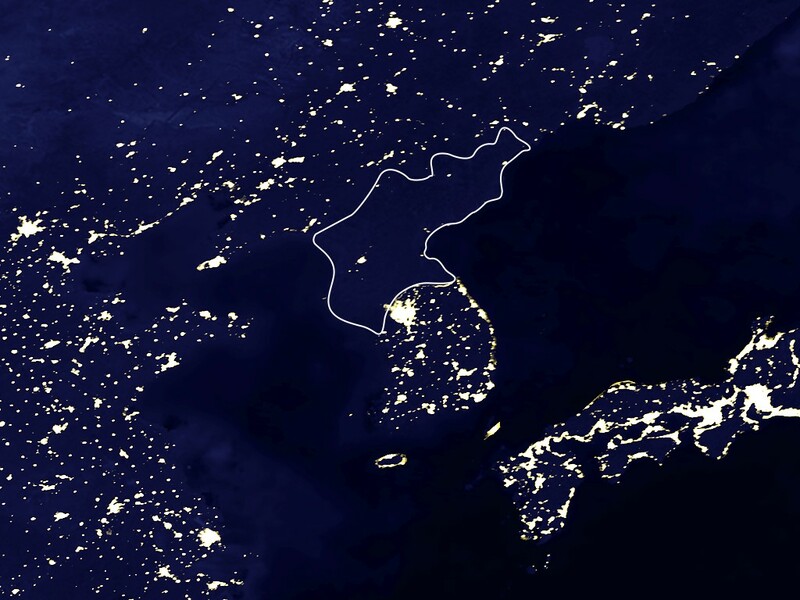 Based in Seoul, Demick covered North Korea for the Los Angeles Times for five years and wrote the book, which was published in 2010, “based on seven years of conversations with North Koreans,” primarily defectors from the regime. The book examines the lives of six such North Koreans who had left the country, both before and after their defections. 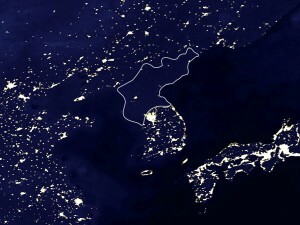 It also includes in-depth research about the founding of the North Korean regime, its evolution (or, more accurately, devolution), the catalogue of bizarre and oppressive rules that exist to regulate its society, the devastating famine in the 1990s, and the aftermath of that famine, including the continuing uptick in defections to China and South Korea. 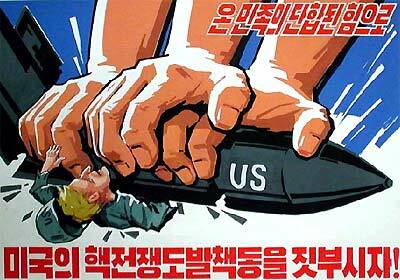 In fact, the North Korean government blamed (and continues to blame) the United States for all manner of ills. I don’t think I was fully aware until reading this book how central a role the “imperialist” government of the United States plays in North Korean propaganda. In 2004, I spent a summer doing my undergraduate senior thesis research in Cuba, another closed-off, communist regime with a healthy distaste for Yankee imperialism and a strong propaganda machine to spin elaborate conspiracies. Demick’s descriptions of North Korean anti-American propaganda reminded me of Cuban propaganda on overdrive. After all, at least the Cuban regime isn’t lying when it says that the American government has instituted a blockade. Nothing to Envy is rife with examples of horrific deprivation and abuse of North Korean citizens at the hand of their government, but the heart of the book is about the decisions made by the six individuals Demick profiled to defect from the only regime they knew. In North Korea, survival, let alone escape, is a complicated emotional proposition, because survival represents a kind of selfishness, a willingness to do what it takes to live, often at the expense of others. Demick and her subjects note that the North Korean famine tended to target “the most innocent, the people who would never steal food, lie, cheat, break the law, or betray a friend. This was a phenomenon that the Italian writer Primo Levi also identified after emerging from Auschwitz, when he wrote that he and his fellow survivors never wanted to see one another again after the war because they had all done something of which they were ashamed.” Those who survive and escape the North Korean regime must grapple with the choices they made to get where they are, and mourn the people they lost in the process. Demick notes that “[g]uilt and shame are the common denominators among North Korean defectors; many hate themselves for what they had to do in order to survive.” Once escaped, defectors must adjust to life in modern society, and the transition can be difficult. North Korea continues to haunt even those who escape from it. This book is fascinating, moving, and painful. There were times when I winced reading it, or felt like crying, or wanted to put it down. It’s not a light read. But I strongly recommend it for anyone who is curious about the lives of the ordinary people we may overlook when we think and talk about North Korea. This entry was posted in Books and tagged Barbara Demick, books, North Korea, Nothing to Envy on February 26, 2013 by Stephanie.